Michael Shellenberger, a high profile and effective advocate for use of commercial nuclear energy, has written two controversial essays online calling for small nations to acquire nuclear weapons. His premise in the first essay is that even the appearance of having a nuclear program, while refusing to confirm or deny its existence, is a deterrent to being pushed around by a small nation’s bigger neighbors. In making his contrarian case, Shellenberger has crossed a red line for the global commercial nuclear industry, which has done everything in its power to avoid having the public conflate nuclear weapons with commercial nuclear energy. In his second essay, he gets his facts wrong about the realities of the nuclear fuel cycle in some countries that have made significant commitments to using nuclear energy. In the end he may have painted himself into a corner. Not only has he alienated some of his supporters on the commercial nuclear side of the house, but he has also energized the nonproliferation establishment, within government agencies and among NGOs, offering them a rich opportunity promote critical reviews of the risks of expanding nuclear energy as a solution to the challenge of climate change. Ever since we’ve known, and especially after the hair raising events of the Cuban missile crisis, that a nuclear exchange between two nations would create a devastating outcome with global repercussions See for instance Carl Sagan’s work in 1983 on “nuclear winter” as one of them. For this reason, nuclear weapons have come to be seen, in part, as means of deterrence rather than as first strike or tactical weapons in a regional conflict. This is the heart of Shellenberger’s thesis. He writes that if the French had nuclear weapons, Nazi Germany never would have invaded it. The hypothetical argument continues in that he believes that if small nations have nukes, big nations won’t push them around, hence all small nations should get them. While perhaps intending to make a separate point, Shellenberger actually puts his finger on the heart of the deterrence principle. Here’s the problem. The more nations have nuclear weapons, the more dangerous the world will be. Sooner or later some tin pot dictator or religious zealot, is likely to push a button and send us all to eternity. The idea is to have fewer nuclear weapons. That’s why the U.S. and Russia engaged in the Megatons to Megawatts program that blended down highly enriched uranium (HEU) turning it into commercial nuclear fuel that was used by U.S. utilities to generate electricity. Arguments about the balance of power and nuclear v. non-nuclear states are endemic and the logic of which perspective ought to drive U.S. policies is argued endlessly. So let’s cut to the chase. It’s about survival of the human species, and no technocratic debate can ignore that point. While it is true that none of the current nuclear powers are committed to zeroing out their arsenals, even North Korea’s ambitions seem to be deterrence rather than aggression. What does North Korea really want? It wants trade with South Korea to achieve some measure of prosperity. If it blows up the South with its nuclear weapons, all it gets for its trouble are radioactive ashes. 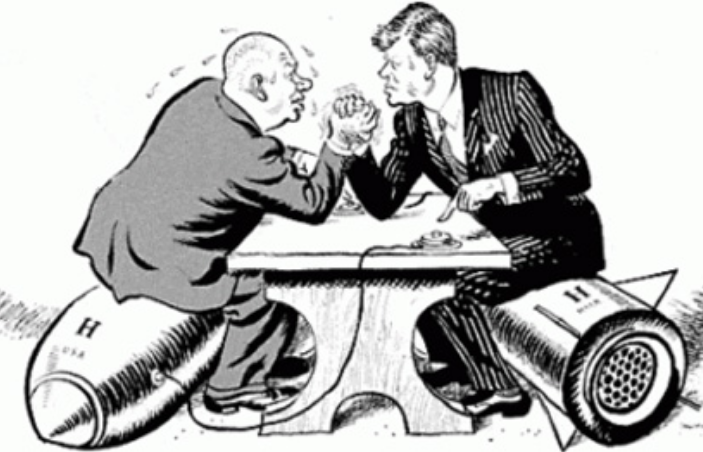 In his second essay on small nations that he says are contemplating or planning to acquire nuclear weapon, Shellenberger gets some key facts wrong. Here’s a country-by-country rebuttal to his case. Despite a lot of media ink spilled on the subject, the Kingdom of Saudi Arabia (KSA) neither wants nor can afford the cost of the nuclear fuel cycle including uranium enrichment,. conversion of yellowcake to UF6, an enrichment facility, fuel fabrication, and a reactor to make weapons grade materials. I’ve been following KSA’s efforts since 2011. I have a seven part “reader” on my blog which provides an analysis of the country’s efforts over time. It explains that the likely continued low price of oil will prevent KSA from investing in full size commercial nuclear reactors much less pursue a nuclear weapons program. With regard to the countries list in the essay, only Brazil is a likely “breakout” nation with regard to the capability to enrich uranium to 80%+ U235. Having the expertise to build bombs is an entirely different matter and may be out of reach even for that country. The United Arab Emirates (UAE) has signed off on a “gold standard” 123 agreement with the U.S. which eliminates uranium enrichment and also reprocessing of spent nuclear fuel. Turkey’s first commercial nuclear power station is being built at Akkuyu by Rosatom (4 1200 MW VVER units). (WNA) The Russians will completely control the delivery of new fuel for the reactors (3-5% U235) and retrograde of spent nuclear fuel back to Russia. The Russians are not going to allow their nuclear materials to be diverted for bomb making. Turkey’s second commercial plant at Sinop has not yet broken ground, and, is delayed due to problems lining up commercial investors. If it is built, it will rely on a Japanese / French design which also uses low enriched fuel. Areva, which will supply the fuel to run the 4 1100 MW units, will also take back spent nuclear fuel. Turkey’s third commercial nuclear plant, to be located north of Istanbul on the western Black Sea coast, also is just in the planning stage. It will likely be built by a consortium of Chinese state owned firms which will also follow Russia’s example. Egypt has signed a deal with Rosatom to build 4 1200 MW VVER. Like the example in Turkey, Rosatom will control all aspects of the nuclear fueling of the units and retrograde of spent fuel to Russia. The same model holds true for Bangladesh. Based on these facts, it is a stretch to claim that diversion of nuclear materials is a threat in any of these countries, except Brazil, due to the sponsorship and control of nuclear materials by the suppliers in the other countries. Neither Russia nor China will want to upset the balance of power among nuclear states by creating new ones. For this reason,. claims that all these countries have plans to become nuclear powers, or to threaten to do so, are not supported by the facts. None of them have the capability to go it alone and all of them have sponsors who will exercise strict controls on nuclear materials. Shellenberger has gone down a rabbit hole with his two essays promoting the proliferation of nuclear weapons. Given all the great things he has done to promote commercial nuclear energy, it is a perplexing and disturbing development. It’s ok to be contrarian, but I fear he will pay a price for it with dismay by some of his current supporters and he will face critical reviews from detractors of his pro-nuclear message as a result of these essays. In the end public support and perception of the safety of nuclear energy may be diminished by these essays since they will lead to increased conflating of commercial nuclear energy with nuclear weapons. The fatal attraction of the power of nuclear weapons has lured another victim. It’s an ill-fated step backwards. His writings have appeared in The New York Times, Washington Post and Wall Street Journal, Scientific American, Nature Energy, and PLOS Biology. He is coauthor of visionary books and essays including “An Ecomodernist Manifesto,” “The Death of Environmentalism,” and Break Through, which was called “prescient” by Time and “the best thing to happen to environmentalism since Rachel Carson’s Silent Spring” by Wired Magazine. Significantly, he is co-founder and Senior Fellow at Breakthrough Institute where he was president from 2003 – 2015 and advisor to MIT’s “Future of Nuclear Energy” task force. He has been an environmental and social justice advocate for over 25 years. I was saddened by that article. I had the opportunity to meet Mr. Shellenberger in Cleveland last summer. He’s well spoken and, until now, a good spokes person for nuclear power. But this article will only help cement the oppositions view that nuclear power=nuclear bombs. Which, of course, it does not. The thoughts expressed by Michael Shellenberger are thoughts that I have had long before reading his essays, but I never expressed them beyond close friends. Shellenberger may be right, but I don’t think it’s wise for advocates of peaceful nuclear power to bring nuclear weapon proliferation into the discussion. We need to stay focused on nuclear power as the only solution to global warming. Nuclear bombs aren’t the only ones around, but they are the only ones not killing anyone at the moment. 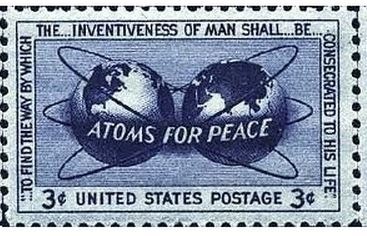 I think the inhabitants of places like Syria and Iraq would rather be just threatened with nuclear weapons, than maimed and killed by phophorous bombs and cluster munitions. There were far more people killed in WW2 by conventional than by nuclear ordnance, and since then there have been no wars between the major powers. No wars between secondary countries as well would be a major boon to humanity. Only a dumb leopard attacks a porcupine. I agree that nuclear power to counter climate change should be the major concern, but if anti-nukes bring up the proliferation argument, you should be able to offer alternatives.